Extracted from Québec's local plants and trees to make you benefit from their renowned qualities. Ultra pure DHA, EPA and DPA polyinsaturated fatty acids extracted from marine biomasses. Ingredients and extracts derived from fruits, vegetables, mushrooms and wild plants. Our two exclusive probiotic strains and their bacteriocins show remarkable efficiency against pathogenic bacteria. Extraction, enrichment, analysis, method development... we help you develop or purifiy your products. Founded in 1995, SiliCycle is specialized in the development, manufacturing and commercialization of high value silica-based and specialty products for organic chemistry, chromatography, analytical chemistry and purification. NEW SiliCycle also offers ingredients and purified extracts, as well as extraction - purification services. Reinvest our scientists' expertise in your project! 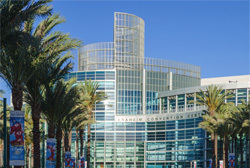 Natural Products Expo West is the world's largest natural, organic and healthy products event. The show, produced by New Hope Network, will bring together more than 3,000 exhibiting companies, and is the preeminent rendezvous for spotting trends in the food and CPG industry. It's also the perfect event to launch a product because the key decision makers are in the same place.